Dan Hobbs farm planting sour cherry trees Avondale via Greg Hobbs. 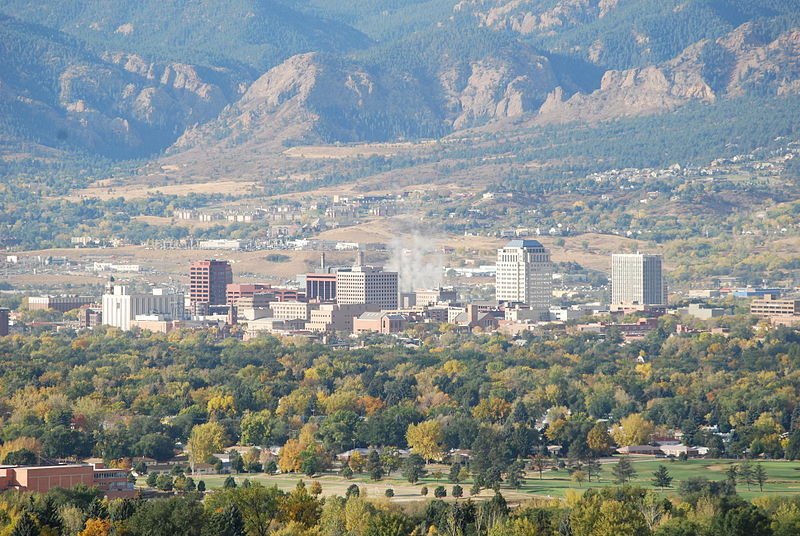 Colorado Springs and the four parties suing the city now have an extra month to either settle a longstanding lawsuit over federal stormwater permit violations or agree how to continue the case in court. U.S. District Judge Richard P. Matsch in December ordered the case paused until this month so the parties could find common ground. The lawsuit was to restart last week, but Matsch extended the break by more than a month. Now the parties have until April 12 to agree on next steps, or the case goes back to court. The request for a break in the case came from the plaintiffs — the U.S. Environmental Protection Agency, the Colorado Department of Public Health and Environment, Pueblo County and the Lower Arkansas Valley Water Conservancy District — after Matsch ruled that Colorado Springs violated federal stormwater regulations at three development sites. It’s been nearly three years since the U.S. Air Force acknowledged that toxic chemicals from Peterson Air Force Base contaminated groundwater under the city of Security, forcing it to stop using well water that served its 19,000 customers. This week, Security officials and the Pikes Peak Community Foundation answered with a federal lawsuit in Denver asking for nearly $19 million in damages from ongoing contamination. What’s causing it isn’t in doubt. A military firefighting foam that contains perfluorinated chemicals has been seeping into groundwater south of Peterson AFB since 1970 and has contaminated the underlying Widefield and Windmill Gulch aquifers. Air Force officials confirmed the contamination in an August 2016 study, and the Security Water District stopped using its 24 groundwater wells the following month. 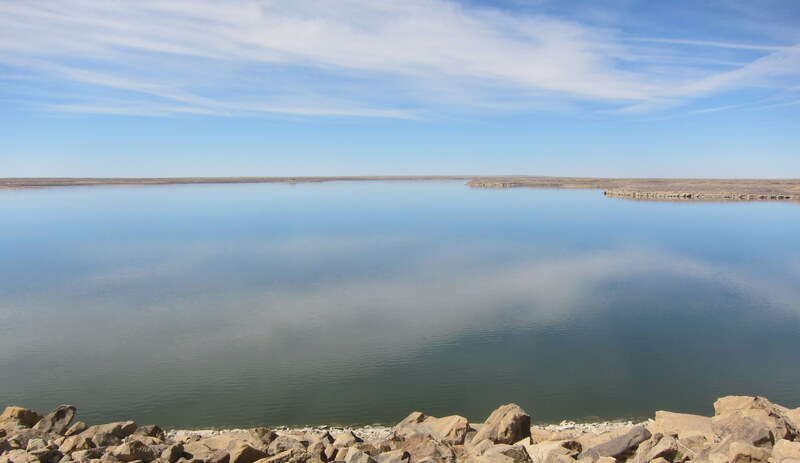 Then, it began buying water through the Southern Delivery System pipeline from Pueblo Reservoir. Despite the 2016 Air Force study, the lawsuit says the federal government rejected a claim for damages last year, forcing Security and the Pikes Peak foundation, a nonprofit charity, to sue for damages. The water district has itemized $15.5 million in losses and expenses related to finding a new water supply for the community. 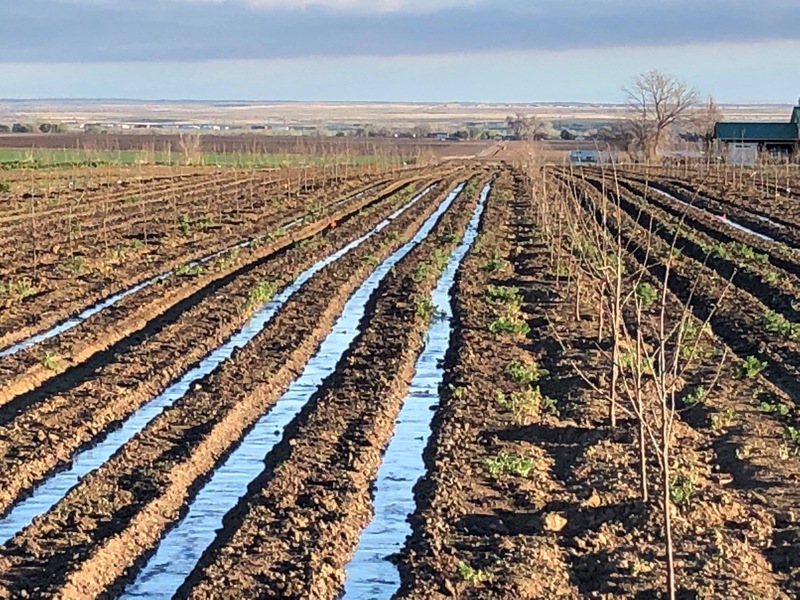 The foundation, which owns Venetucci Farms in El Paso County, is asking for $3.1 million in damages for losing access to water suitable for growing crops. On Wednesday, representatives from the Defense Department testified before a House subcommittee about the extent of the problem. They said the foam’s chemicals have been found in more than 560 public and private water systems nationally. U.S. Senators Michael Bennet (D-CO) and Cory Gardner (R-CO), with a bipartisan group of colleagues, today introduced legislation that would mandate the Environmental Protection Agency (EPA), within one year of enactment, declare per- and polyfluoroalkyl substances (PFAS) as hazardous substances eligible for cleanup funds under the EPA Superfund law, and also enable a requirement that polluters undertake or pay for remediation. In May 2018, former Environmental Protection Agency (EPA) Administrator Scott Pruitt announced that EPA would propose designating PFOA and PFOS, two specific PFAS chemicals, as “hazardous substances” through one of the available statutory mechanisms, including CERCLA Section 102. Nearly a year later, on February 14, 2019, EPA released its long-anticipated PFAS Action Plan. The plan included another commitment by EPA to make that designation for PFOA and PFOS, but did not identify the available statutory mechanism it would use, nor how long the designation process would take to complete. Clear and swift action from Congress to list PFAS as hazardous substances under CERCLA would advance the action already proposed by EPA, enabling the agency to protect human health and the environment in an expeditious manner. 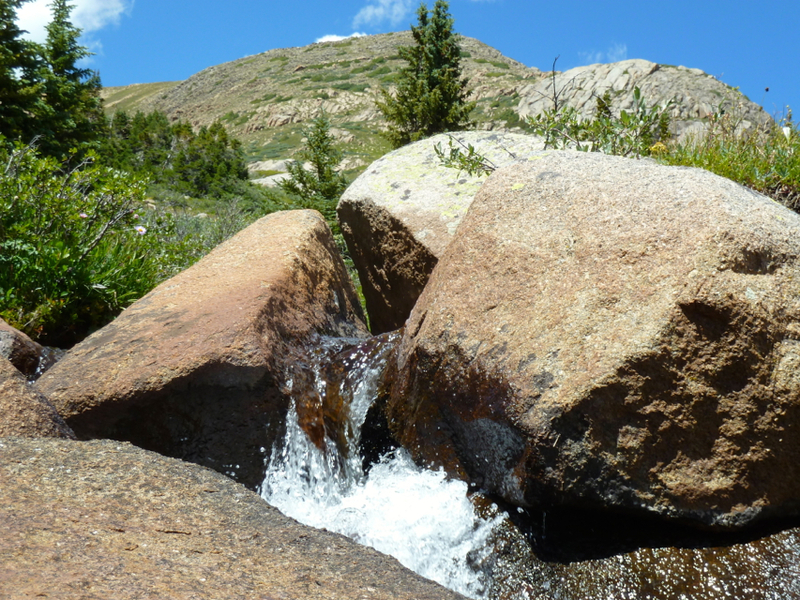 Bennet’s reaction to the EPA’s plan, and his record of two years of work to address PFAS in Colorado and across the country, is available HERE. In addition to Bennet and Gardner, original cosponsors include U.S. Senators Tom Carper (D-DE), Shelley Moore Capito (R-WV), Gary Peters (D-MI), Thom Tillis (R-NC), Debbie Stabenow (D-MI), Marco Rubio (R-FL), Jeff Merkley (D-OR), Jack Reed (D-RI), Lisa Murkowski (R-AL), Jeanne Shaheen (D-NH), Richard Burr (R-NC), and Joe Manchin (D-WV). U.S. Representative Debbie Dingell (D-Mich.) led the introduction of companion legislation in the House of Representatives earlier this Congress. The senators’ PFAS Action Plan for 2019 comes after the Environmental Protection Agency was criticized by environmental groups and affected residents for not going further in its plan for addressing the chemicals. The bipartisan legislation — Bennet is a Democrat, Gardner a Republican — mandates the EPA declare all perfluoroalkyl and polyfluoroalkyl substances, man-made compounds also known as PFAS, as “hazardous substances” within one year of the bill’s passage. The designation would clear the way for the EPA to use Superfund money to clean up contaminated sites, while opening the door for the government to sue polluters for cleanup costs. The legislation does not address any other aspect of the EPA’s oversight of those chemicals, such as whether the agency should regulate the chemicals in a similar fashion as lead, cyanide and mercury. 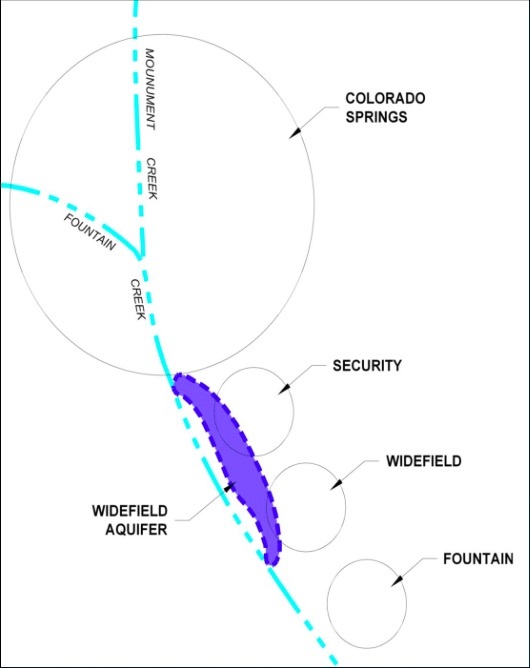 Should it pass, it’s impact on southern El Paso County — where the drinking water of tens of thousands of Security, Widefield and Fountain residents was tainted — remained unclear Friday. The Air Force is in the midst of a yearslong process to address the chemicals that is similar to the federal Superfund program, due to the decadeslong use of a firefighting foam containing the toxic chemicals at Peterson Air Force Base that was detected in groundwater. The Air Force is still investigating the contamination — a process that was expected to take years. And any cleanup steps — such as removing the chemicals from the Widefield aquifer — have not been announced, nor has money been allocated for such cleanup efforts. In the meantime, water districts serving Security, Widefield and Fountain have spent millions of dollars installing treatment systems and piping in water from elsewhere to remove the chemicals from residents’ tap water to nondetectable levels. Two other communities in Colorado — in Boulder and Adams counties — also have discovered the chemicals in their drinking water. Both contamination sites were near fire departments that used the same toxic firefighting foam that was a mainstay at Peterson Air Force Base, according to the Colorado Department of Public Health and Environment.